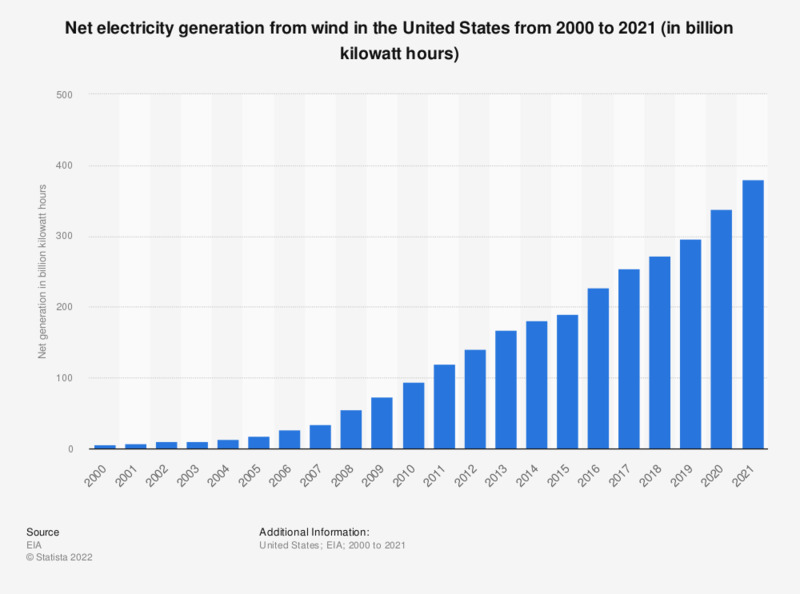 This statistic represents the net generation of wind power in the United States between 2000 and 2017. In 2017, around 254 billion kilowatt hours of wind electricity were generated here. That year, wind power was the largest non-hydroelectric renewable energy source in the U.S.